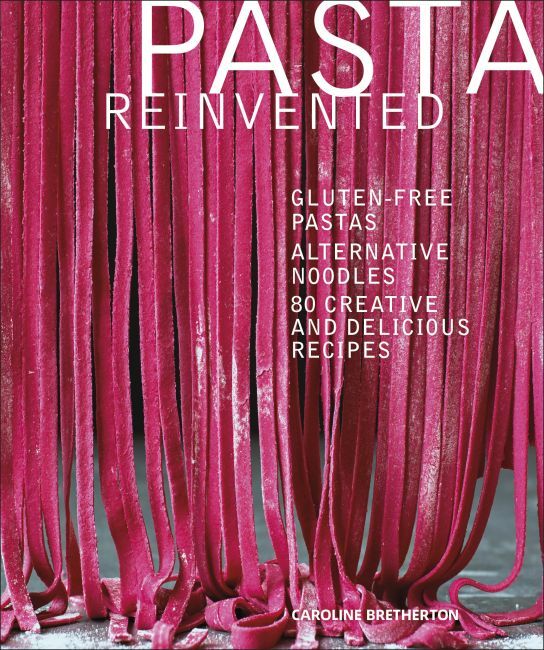 The only pasta and noodle cookbook focused on healthy alternatives to wheat-based pasta-often gluten-free-and offering recipes for making pasta doughs from scratch, as well as sauces and dishes to enjoy. Discover a world beyond traditional wheat-based pasta, and enjoy nutrient-packed alternative pastas made from a variety of grains, beans, nuts, and spiralized produce with Pasta Reinvented. Prepare dishes that will highlight-not hide-the flavors of your chickpea pasta, almond flour pappardelle, or shirataki noodles. Learn how to make and shape your own pasta doughs made from alternative flours, or buy ready-made, then exploit their unique flavours with recipes for interesting new taste pairings. Eighty protein- and fiber-packed recipes-many gluten free and vegetarian-offer you a new generation of dishes to go with the latest evolution of pasta and noodles. Caroline Bretherton has worked in the food industry for over twenty years, and has authored or co-authored eleven books. Her first book, The Kitchen Garden Cookbook, was a subject close to her heart, and she has recently completed DK's Super Clean Super Foods and Sprouted!